This Herbal Prepper Live show explores the preventative and emergency dental care for off-grid scenarios. Preppers tend to think a lot about what life would be if there were no doctor, hospital, or pharmacy around. This week, we’re looking at strategies if there is no dentist or commercially-prepared dental hygiene products available. 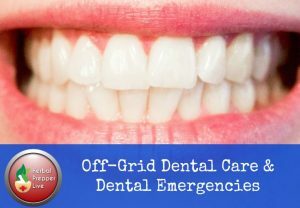 Listen to this broadcast or download “Off-Grid Dental Care and Emergencies” in player below! 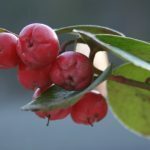 In this episode, I discuss herbal preparations for oral pain, hygiene, and infections. Knowing how to respond and provide comfort and relief to a toothache will be critical in an off-grid or down-grid scenario. If we have time, I will also discuss TMJ and lacerations/injuries to the gums. Mouth pain is some of the most excruciating and debilitating pain a person can experience. If you broke a tooth, had a dental abscess, or had a cavity without access to modern dental care, you are going to be in a world of pain. An ounce of prevention is worth a thousand words. You want to do everything you can to avoid mouth pain, as well as have a back up plan for dental emergencies. But, we don’t always follow through with good dental hygiene habits. Dental health is linked to overall health. Often, problems in the mouth relate to other health issues, such as heart disease and diabetes. Certain conditions, such as an abscess, bring additional health risks. If the infection were to move deeper into the body, it could make its way to the heart, and you’re going to have a bad day. Knowing what to look for might save your life. 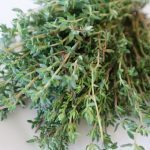 Be sure to check out the new Event Calendar on my website at www.herbalprepper.com to see more information about upcoming. You can even add a reminder to listen to your iCal or Google calendar! Previous: Previous post: Who will join your group? Next: Next post: Hen Fruit (Eggs) to the Rescue!